Emerging mayflies can get stuck in their nymphal shucks. These mayflies drift helplessly downstream and trout will gorge themselves on these easy meals. 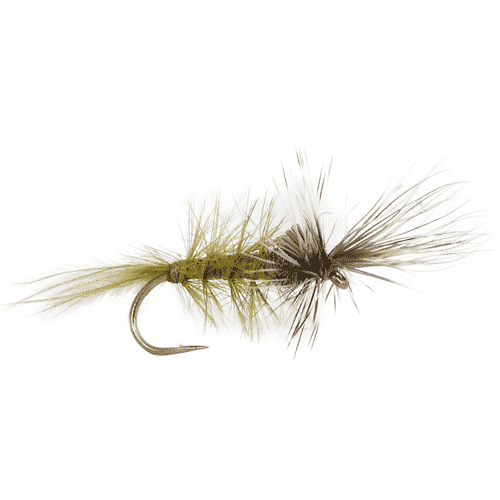 The front of this blue wing olive fly pattern will make it drift vertically in the surface film. 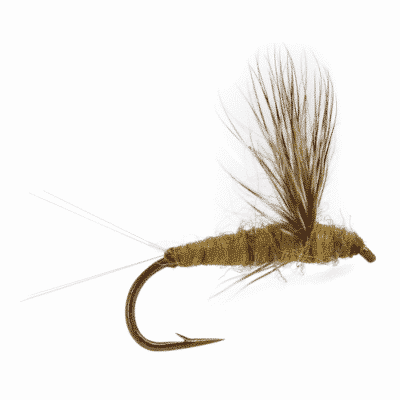 When trout are ignoring your other BWO imitations, switch to this pattern. Trout won’t pass up easy pickin’s.